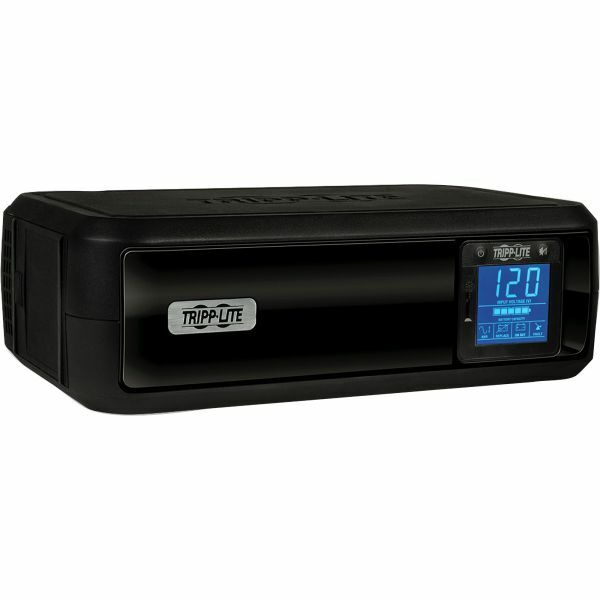 Tripp Lite OMNI650LCD Omni Smart Digital UPS System, 8 Outlets, 650 VA, 480 J - Line-Interactive Digital UPS System offers voltage regulation, surge suppression and long-lasting battery support for personal computers and more. 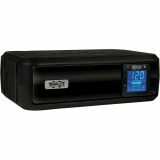 Internal UPS circuits support entry-level PCs for up to 40 minutes or individual VCR/DVR components for as long as 2 hours during power failures. Prevents data loss, viewing interruptions and loss of programming. AVR circuits regulate brownouts as low as 89v back to usable levels without consuming battery power. Includes four battery-supported/surge-protected outlets, plus four additional surge suppression-only outlets for items not requiring battery support. USB port enables optional unattended system shutdown. Includes cable. HID-compliant USB interface enables full integration with built-in power management and auto shutdown of Windows, Mac OS X and Linux. Offers three-minute battery runtime with full load of 650VA/350W and 12 minute with half load of 325VA/175W.